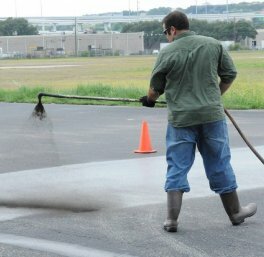 Southeast Wisconsin Watersheds Trust (Sweet Water) ($90,000)This $90,000 award will support Sweet Water’s goal of educating municipalities about the dangers that tar-based pavement sealers pose to both human health and to the environment. Research indicates that these tar-based sealants contain toxic compounds linked to cancer and other health problems for people and aquatic organisms alike. Therefore, Sweet Water aims to encourage communities to adopt bans on tar-based sealants, as well as large landowners to prohibit the use of these sealants on their properties, in favor of using safe and affordable alternatives that are readily available. This advocacy work will be done over a two-year period.